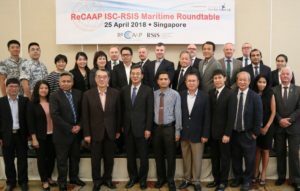 The Regional Cooperation Agreement on Combating Piracy and Armed Robbery against Ships in Asia Information Sharing Centre (ReCAAP ISC) and the S. Rajaratnam School of International Studies (RSIS) today co-organised a Maritime Roundtable co-moderated by Mr. Masafumi Kuroki, Executive Director of ReCAAP ISC and Amb. Ong Keng Yong, Executive Deputy Chairman of RSIS. The topic of discussion, “Is a Single Reporting Centre the Answer to Timely Reporting, and Prompt Response against Piracy and Sea Robbery?” draws on a feedback pertaining to the International Maritime Organization Maritime Safety Committee (IMO MSC) Circular MSC.1/Circ. 1334. This circular recommends that ship masters report all incidents of piracy and sea robbery to the Rescue Coordinating Centre of the coastal states immediately. 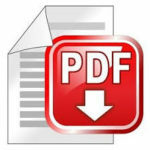 Notwithstanding, some sectors within the shipping industry feel the need to further simplify this reporting procedure. Held under the Chatham House Rule, participants of the roundtable include senior representatives from IMO; international and regional shipping associations such as the Asian Shipowners’ Association (ASA), BIMCO, INTERTANKO, International Chamber of Shipping (ICS), OCIMF, Singapore Shipping Association (SSA); maritime regulatory and enforcement agencies such as the Indian Coast Guard (ICG), Malaysian Maritime Enforcement Agency (MMEA), Philippine Coast Guard (PCG), Maritime and Port Authority of Singapore (MPA), Thailand Maritime Enforcement Coordinating Centre (Thai-MECC), Vietnam Coast Guard (VCG); information sharing/reporting centres such as ReCAAP ISC, International Maritime Bureau (IMB), and Information Fusion Centre (IFC); and RSIS, a research institute. The Maritime Roundtable acknowledged that whether or not a “Single Reporting Centre” was feasible, the welfare of seafarers and safety of sea lanes are important, and that piracy must be effectively addressed. The Maritime Roundtable also affirmed the importance of continuing to build the capacity of Coastal States to combat maritime crimes, as well as ways to continue to enhance the cooperation between the regional authorities and the shipping industry. The ReCAAP ISC-RSIS Maritime Roundtable was held in conjunction with the Singapore Maritime Week 2018. The S. Rajaratnam School of International Studies (RSIS) is a professional graduate school of international affairs at the Nanyang Technological University, Singapore. RSIS’ mission is to develop a community of scholars and policy analysts at the forefront of security studies and international affairs. Its core functions are research, graduate education and networking. It produces cutting-edge research on Asia Pacific Security, Multilateralism and Regionalism, Conflict Studies, Non-traditional Security, International Political Economy, and Country and Region Studies. RSIS’ activities are aimed at assisting policymakers to develop comprehensive approaches to strategic thinking on issues related to security and stability in the Asia Pacific.